We would like to introduce Ernesto Ruiz Velasco. Ernesto, can you tell us a little about yourself and what 3D experience you've had before entering AnimSchool? I began to get interested in animation and VFX really early in my childhood, and started to do 3D by myself when I was 15 years old. 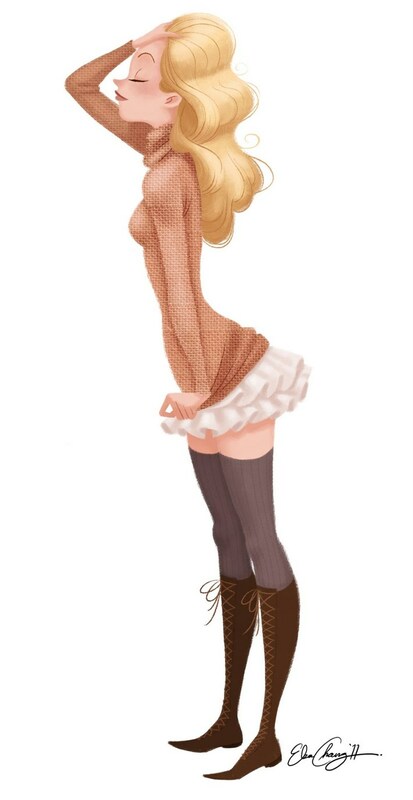 In 2007, as a graduated from a very technical High School, I won a Scholarship to study Animation and Digital Arts at ITESM, Guadalajara with my portfolio work. Later, in 2009 I entered an internship in a small mexican advertising VFX studio. I worked there for about 2 and a half years, first as a Technical Artist and later, in 2011, as a Technical Director. I worked there in almost every part in the 3D pipeline, both technical and artistic, as a generalist. I did Hardware/Software support, Modeling, Rigging, FX, Lighting and Rendering, I even did some crowd simulations with Massive, but I never had the chance to do character development. That was the reason I quit the company a few months before I graduated from ITESM. In March 2012 I got a job as a Tools Dev. and RnD Lead in a 3D Animation Studio in Guadalajara, México. Quickly, I got promoted to CG Supervisor having the opportunity to finally focus in Character Development. 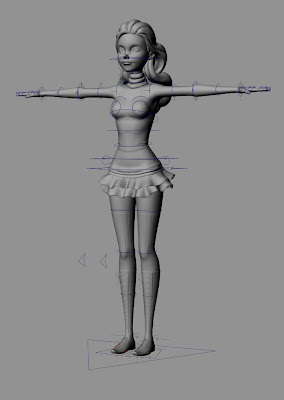 There on, in my spare time, I started to learn more about character rigging, FX and modeling, wishing to find some specialized courses online. Then, in october of 2012 I was able to enter into Animschool’s Character Program. Do you have any artists who inspire you? I’m really bad at remembering names, but I have a wide range of references when I’m working. I admire all the people who are able to finish their work with amazing quality, and whom like to share their knowledge. I’m a really technical person, but I also have some artistic skills, that's why I admire not only artists, but technical guys as well. The names that I recall, whose work I really enjoy are: Rafael Grassetti, Jon Troy Nickel, Andrew Hickinbottom, Michael Defeo, Elsa Chang, Lou Romano, Josh Carey, Vincent E. Sousa, Pedro Conti. The people who have taught me: Todd Widup, Judd Simantov, Brien Hindman, Ignacio Barrios, Dave Gallagher. The people who I work with also inspire me day to day. What did you find the most challenging about modeling your character from your Intermediate Modeling class? I think the most difficult part was to set up the Elsa Chang's character for a three dimensional world. Having only a side-view of the design, I was getting lost in little details. Thanks to Brien Hindman from the Intermediate Modeling Class and Dave Gallagher with the General Reviews, I was able to be objective in getting the 2D drawing to the 3D model, without losing the artistic appeal. I’m really satisfied with the final result. 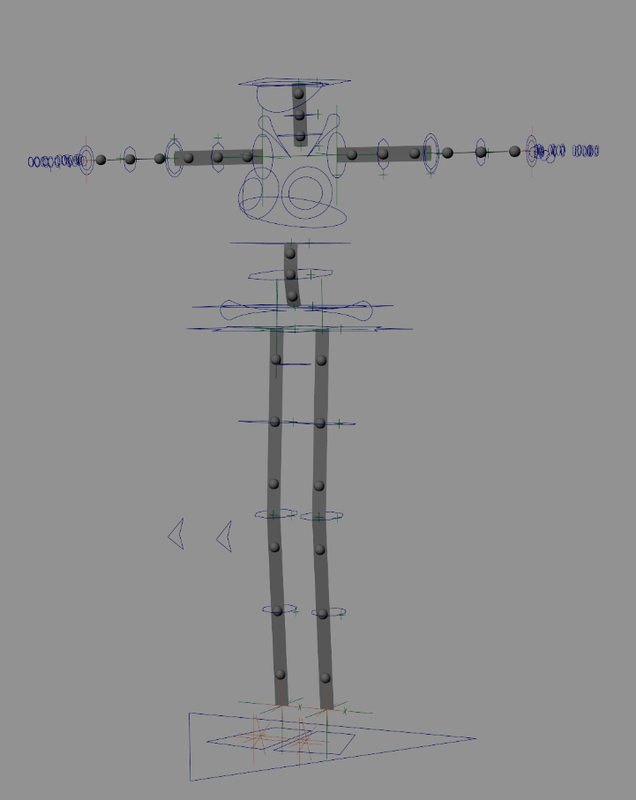 After having a couple rigging classes at AnimSchool, has your thought process behind 3D modeling changed, how? Yes, I had taken other rigging courses before. But, in AnimSchool I learned not only how to rig, but also the way to prepare the characters so you can do a quicker and better job, focusing in the appeal of the character and not losing time solving technical problems. What I really liked about the workflow I leaned here is that, if you keep everything modular, not only for the different parts of the rig but also for the different parts of the process, you can go back and forward in the rigging changing things without any problems. So, you’ll always be able to put new controllers or features into the rig or even change some modeling without any major problems. How did you become interested in becoming a Character TD? What do you enjoy the most about rigging? this technical side to grow professionally. However, I've always wanted to do characters, to be a modeler or a concept artist, but I ended up doing technical stuff like simulations or scripting each time. The reason why I'm so interested in characters is because what I enjoy the most about animation is the story and the way a movie can immerse you in different worlds. I think the way a character's personality changes throughout the story, alongside the story itself, is the secret to compelling work. I think a Character TD have that perfect balance between the technical and artistic side that I'm looking for, and nowadays It’s what I enjoy the most. It combines modeling, rigging and scripting skills as also the knowledge on how to automate processes. Besides, I love to solve problems and propose new ways to do it, rigging gives me the opportunity to do so. What have you found the most challenging in the Rigging process? Did you discover any tricks/tips to help with these challenges? 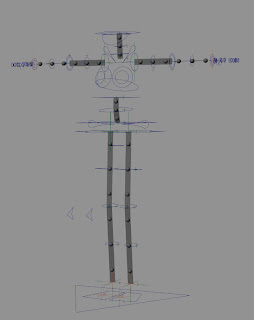 Everything, I think rigging it’s challenging by itself, but particularly maintaining the quality and keeping everything well structured. Sometimes it can get hard to keep adding features to the rig without breaking it. Ignacio Barrios was very helpful with that. He made us understand the common problems and solutions instead of giving us a series of steps to get the rigging done. He taught us the logic inside a rig. 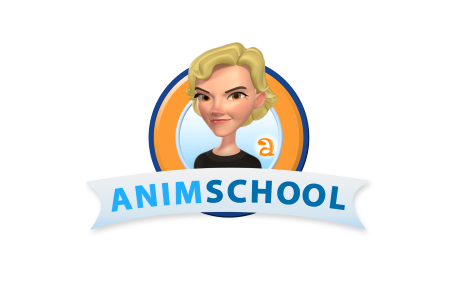 How has your experience been at AnimSchool? What do you find most beneficial about the program? At AnimSchool I felt really close to the Animation Industry, thanks to the wonderful teachers I've had. They do not only teach about their classes, but answer pretty much all the questions we have and help with anything they can. In Mexico it's quite hard to find this type of professional feedback. The people at AnimSchool gave me a lot of pro tips and tricks and now I feel more confident, even to make the Guadalajara CG industry grow in quality. For a long time I was wishing to find an online school focused in characters, but there were none about rigging and modeling, only Animation. That's why I’m really glad to be studying at AnimSchool! Do you have any advice you would give other students interested in learning modeling or rigging? Show your work to others, so you can have quick feedback (the sooner, the better). Constantly try to ask yourself how can you do it better. Always get the most references you can before starting, and keep looking for them while you are working, to never lose focus. Also, practice as much as you can, the more you practice the faster you'll get. To achieve the same quality and functionality in everything you do, try to go from the overall figure to the particular details (It applies to both, modeling and rigging). Additionally, If you want to focus on modeling or rigging it’s good to know a little from other areas, especially the inputs and outputs of the department you are focusing (animation, concept art and rigging) and of course, always do your best!